Having the perfect Bluetooth Speaker can make or break your viewing or listening experience. You can read Tammie's review of the product by going HERE. Having a high quality Bluetooth Speaker is a product that is perfect for your home, car, college dorm rooms and just about everywhere you could think of where a speaker is warranted. Robyn's thoughts--I know how important it is to be able to have a working speaker system. These days, nobody has a CD Player or Boombox (remember those?) or any portable stereo device--other than their phone. All you need is a speaker and your phone and off you go. With this Bluetooth Speaker, you won't need wires or cords. Just sync to your smart device and off you go. Even to stream videos or watch TV on your tablet/phone/etc--this would be an amazing speaker set. Disclosure- Coolestmommy's Coolest Thoughts was not compensated either by free product or payment. I have not been compensated for this post. All opinions and experiences are my own. Open to the US, must be 18+. Confirmed Winner(s) will be contacted by email and have 24 hours to respond before a new winner will be drawn. No purchase necessary. Void where prohibited by law. Entrants must only enter with either one email address, IP address and/or Facebook account, anyone found violating these rules will be disqualified. It is at the sole discretion of the admin of the giveaway if the winner has met the rules or not. The sponsor(s) will be responsible for product shipment to winner(s) of the giveaway. Sponsor will be responsible for prize fulfillment. This event is in no way associated with, sponsored, administered, or endorsed by Facebook, Twitter, Google, Pinterest or any other social media network. The disclosure is done in accordance with the Federal Trade Commission 10 CFR, Part 255 Guides Concerning the use of Endorsements and Testimonials in Advertising. 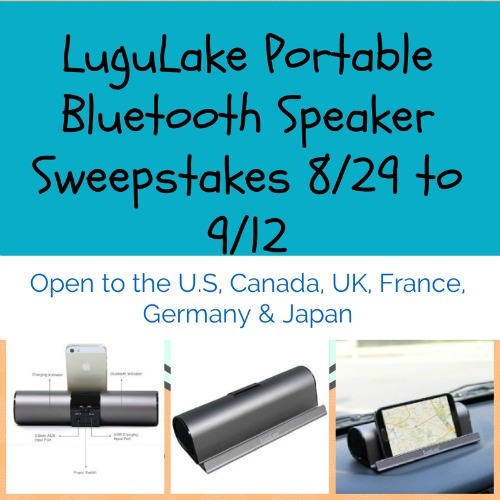 For questions about this giveaway or to have me promote your product, Please email Tammie at PubRel@live.com.